More than a quarter of the world’s population tuned in their television sets to the Royal Wedding of Prince Harry and Meghan Markle on 19 May. The couple were the subject of detailed media reportage. However, something that the media largely overlooked was the fascinating story behind the titles ‘Duke and Duchess of Sussex’. On the morning of the wedding, the titles were recreated for, and accepted by, both. Prior to that morning, the title Duke of Sussex hadn’t been used for 175 years. The last Duke of Sussex was Prince Augustus Frederick, who lived from 1773 to 1843. He was a progressive thinker who supported parliamentary reform, the abolition of slavery, repeal of the Corn Laws* and an end to official discrimination against Catholics and Jews. In 1815 he became patron of the Jews’ Hospital and Orphan Asylum in London and in 1833, during parliamentary debates on Jews’ civil and political rights, presented to parliament a petition in their favour. This was bold stuff back then. Augustus was strongly committed to the Arts and Science and had a massive personal library. He was elected President of the Society of Arts in 1816 and, from 1830 to 1838, was President of the Royal Society. He was the sixth son and ninth child of King George III and Queen Consort Charlotte. Augustus Frederick lived during a time of massive change in the world: the American War of Independence, the Napoleonic War, the Industrial Revolution and rise of Chartism in England. His progressive outlook strained his relationship with his father. The title of Duchess of Sussex is new. This is because the first wife of Augustus Frederick, Lady Augusta Murray, was a Catholic and King George III annulled his son’s marriage (technically because he hadn’t sought consent). None the less, as Augustus Frederick was a rebellious type, he remained with his wife for several years despite the annulment. They had married secretly, in Rome, in 1793 and then married again in London. On both occasions, the king’s consent was not sought, which meant the marriage was in breach of the Royal Marriages Act of 1772. The Act allowed veto by the monarch over royal marriages and was only repealed seven years ago, in 2011. Augustus and Lady Murray had two children, a boy and a girl, but their children were illegitimate according to the law and thus the boy could not inherit his father’s title. 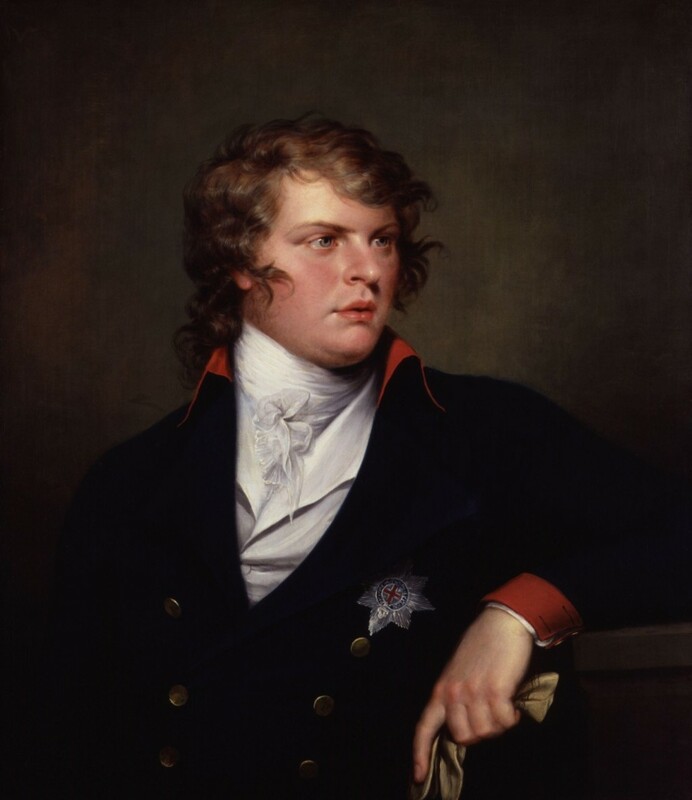 After leaving his wife in 1801, Augustus remarried – again without seeking royal consent. His second marriage, to Lady Cecilia Buggin, produced no children. Even in death, the Duke of Sussex proved remarkable. In his Will, he left instructions that he did not want to be interred with the Royal Family at Windsor but preferred burial in a public cemetery. He was buried at Kensal Green cemetery, a move that ‘astounded the nation’, according to the newspapers of the day. * The Corn Laws were tariffs on imported food and grain, which favoured local producers and kept the price of bread high during times of shortage.